Larvik passenger and car ferry ticket prices, timetables, ticket reservations and information for ferries sailing from Larvik to Hirtshals. Compare all available Larvik ferry ticket prices in real time and book the cheapest available Larvik car and passenger ferry tickets sailing to and from Larvik, Hirtshals with Color Line ferries online with instant confirmation. Book Larvik Ferry Tickets with Color Line for ferries sailing from Larvik to Hirtshals online in advance to enjoy the cheapest available ferry ticket price. The price you see is the price you pay. There are no hidden extras or surprises such as added fuel surcharges or booking fees and we do not charge you anything extra for paying with a Visa Electron card. The price we quote you for your selected Larvik passenger or car ferry ticket, onboard accommodation and vehicle type is all you will pay, and that's a promise. To obtain a Larvik ferry ticket price and book your ferry ticket securely online please use the real time ferry booking form on the left. You are also able to add a hotel at your destination, or anywhere else, to your ferry ticket when completing your ferry ticket reservation. Larvik is the port of entry to Telemark and it is no further from Larvik to Geilo than it is from Oslo to Geilo. Located at the south-east coast of Norway, only 130 kms from Oslo, the Port of Larvik is an important junction between road and sea transport. The fastest and most efficient method to get to your Norwegian holiday destination is with Color Line’s new and modern SuperSpeed ships travelling from Hirtshals in Denmark to Larvik and Kristiansandin only 3 hours and 45 minutes. Larvik is one of the largest towns along Norway’s south coast. Although it has some good museums, its main attractions are Norway’s most accessible excavations from the Viking era. The town’s main historical claim to fame is as the home town of Thor Heyerdahl, one of Norway’s premier explorers. Larvik's main historical claim to fame is as the home town of Thor Heyerdahl (1914-2002), one of Norway's premier explorers. The quirky scientist, anthropologist and explorer spent a lifetime trying to prove that the world's oceans were vast highways that were essential to understanding ancient civilisations, a novel idea in the hallowed halls of scientific research. In 1947 he sailed 6000km in a balsawood raft, the Kon-Tiki, from Peru to Polynesia to prove that the South Pacific may have been settled by migrants from South America rather than Asia. His theories were supported by discoveries of similar fauna and cultural artefacts in Polynesia and South America. Kaupang, 5km east of Larvik, was a former Viking town built around AD 800 and occupied until 960. It is believed that up to 1000 people lived here in its heyday. For us, this is the most interesting of Larvik’s sights. Although most of the original artefacts are now in Oslo, the custodians of the site make the most of what they have with a small exhibition, four Viking tents and knowledgeable guides in Viking dress on hand to show you to nearby Viking graves and to explain Kaupang’s past. On Wednesday (family day) and weekends, they cook Viking soup and bread. The guides can also tell you where to find other Viking cemeteries in the Larvik area. Best Price Guarantee - We always offer you our lowest available Color Line passenger and car ferries ticket price to and from Larvik. There are no hidden extras or surprises such as added fuel surcharges or booking fees and we also we do not charge you anything extra for paying with a Visa Electron card. The price we quote for your selected Larvik ferry ticket, onboard accommodation and vehicle type is all you will pay, and that's a promise! In the unlikely event you find the same all inclusive Larvik ferry ticket cheaper in the brochure of any other tour operator we promise that we will do our best to beat that price or offer you the choice of requesting a refund. 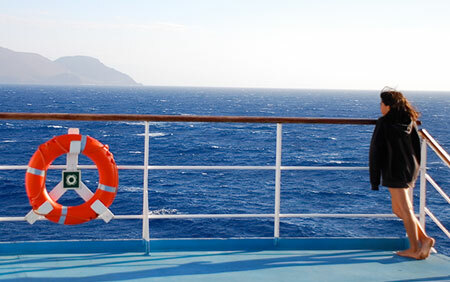 To book Larvik car and passenger ferry tickets please click here. At ferryto.co.uk you are able to obtain live Larvik ferry ticket prices, check availability and book car and passenger ferry tickets to and from Larvik at our lowest available ticket price. Ferryto.co.uk is part of the world's largest online ferry ticket distribution network providing the ability to book over 80 major European ferry operators including to Larvik and to over 1,200 other ferry routes throughout the UK, France, Spain, Ireland, Holland, Eastern Europe, the Mediterranean, the Baltic and North Africa.